The net investment income tax is a 3.8 percent surtax on a portion of your modified adjusted gross income (MAGI) over certain thresholds. It hits high earners with significant investment income. 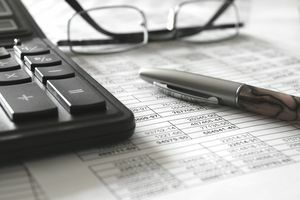 It might take a bite out of your finances even if you manage to avoid paying significant income taxes on your investment income through the use of deductions, credits, and other tax perks. The net investment income tax was legislated as part of the Health Care and Education Reconciliation Act of 2010. It went into effect on January 1, 2013. Along with the Affordable Care Act, this Act reformed the health care market by requiring individuals to obtain health insurance or pay a tax penalty. The net investment income tax was included as a revenue raiser in that legislation. The Joint Committee on Taxation estimated that together with the Additional Medicare Tax, the net investment income tax would generate an additional $20.5 billion in tax revenue in 2013, the first year that this surtax would be in effect. The Joint Committee on Taxation estimates this surtax will generate an additional $210.2 billion in tax revenues over a 10-year period ending in 2019. The net investment income tax is imposed on estates and trusts as well as individuals. For individuals, it applies to U.S. citizens and resident aliens. It does not apply to non-resident aliens unless they've elected to be treated as a resident of the U.S. for tax purposes so they can file joint married tax returns. The net investment income tax applies to estates and trusts when their adjusted gross incomes for the year exceed the dollar amount at which the highest tax bracket begins. Grantor trusts and trusts that are exempt from income taxes, such as charitable remainder trusts, are exempt from the net investment income tax. In most cases, taxes on grantor trusts trickle down to and are payable by the individual—the grantor—who formed and maintains them. Net investment income can be capital gains, interest, or dividends. It can include income produced by rental properties, capital gain distributions from mutual funds, and even royalty or annuity income and interest on loans you might have extended to others. It includes income derived from a trade or business that is classified as passive income and income from a business trading financial instruments or commodities. When a taxpayer sells pretty much any type of investment, she'll realize either a gain or a loss—she'll make money or she'll lose money if she sells for less than what she's invested in the asset. But there are some exceptions. Tax-exempt interest is not included in net investment income, Gains realized from the sale of a personal residence are spared as well when the gain is excluded from income for income tax purposes. Gains except gains on property held in a trade or business are also exempt. Net investment income does not include wages, self-employment income, unemployment compensation, Social Security benefits, or alimony. The net investment income tax thresholds for 2018 are $200,000 if you're single or file as head of household, $250,000 if you're married and filing jointly, or $125,000 if you're married filing separately. These amounts aren't indexed for inflation. They can increase in future years but they won't unless Congress specifically changes them through new legislation. And yes, a "surtax" means it's extra—over and above your income tax obligation. It's also over and above what you paid into Medicare through withholding from your earned income or estimated tax payments. But you're only subject to this tax if you have net investment income and your MAGI exceeds these thresholds. Taxpayers who invest in controlled foreign corporations and passive foreign investment companies might need to make further modifications to their adjusted gross incomes. If you derive any income from these sources and your MAGI exceeds the threshold for your filing status, you might want to consult with a tax professional to make sure you get your calculations right. Now there's a bit of a loophole, and it can work in your favor. If your net investment income is less than the portion of your MAGI over the tax thresholds, you would pay 3.8 percent of this amount instead. So now you have to compare your MAGI to your net investment income for the year. Remember, this is net income. Trade commissions or fees are deducted from your realized amount of gain. You can subtract your expenses from your total realized gain—costs you incurred to maintain these investments such as tax preparation fees. Some of these deductions are already included in the investment income figures. For example, rental income, royalty income, business income, and net capital gains will already be a net amount after deductions or losses have been taken into account. Other deductions, however, are not included in these net figures, so they must be deducted against investment income to arrive at net investment income. These separate deductions include the penalty on early withdrawal of savings, investment interest, investment expenses, state income tax allocated to investment income, and casualty and theft losses related to investment property. The net investment income tax is due on the lesser of your net investment income or the portion of your MAGI that exceeds the thresholds. Multiply the applicable number by 3.8 percent. The official name of the net investment income tax is the "Unearned Income Medicare Contribution Tax." This suggests that the tax revenue is used to fund Medicare, but the revenue raised by this tax actually goes into the nation's General Fund. In fact, you can be subject to the net investment income tax even if you're exempt from the Additional Medicare tax because these two taxes apply to different types of income. In their summary of the new Medicare surtax, the Joint Committee on Taxation points out that "no provision is made for the transfer of the tax imposed by this provision from the General Fund of the United States Treasury to any Trust Fund." In its preamble to the regulations, the IRS stated, "Amounts collected under Section 1411 are not designated for the Medicare Trust Fund." File IRS Form 8960 with your tax return if you're subject to the net investment income tax. The form comes complete with instructions to help you determine what you owe, and it should be used by both individuals and estates and trusts. Keep in mind that if you owe this tax, the IRS expects you to make quarterly estimated payments on the amount you think you'll owe.